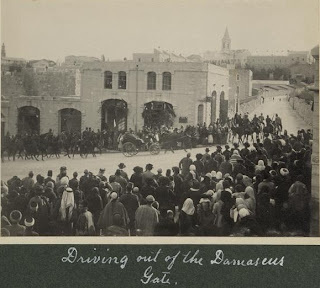 ﻿The Library of Congress archives provide little information on this picture other than "Turkish officers of high rank visiting Jerusalem Parade" in 1917. Enver Pasha visited Jerusalem at the height of the war in the Sinai between the Ottoman/German forces and the British army, then based in Egypt and fighting to defend the Suez Canal. 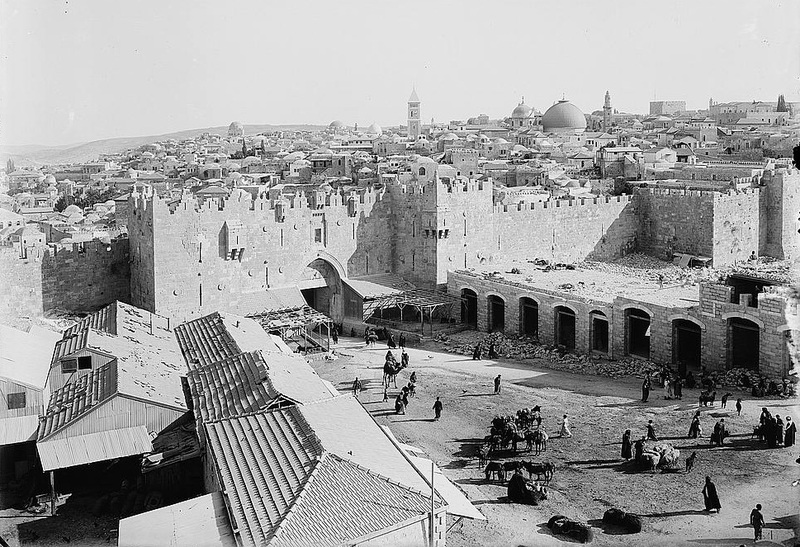 Enver's visit took place on Saturday, February 26, 1916, according to the published diaries of a European diplomat in Jerusalem. Enver visited the Mt. of Olives and the Dome of the Rock shrine in the Old City. His lodgings were at the Hotel Kaminitz on Jaffa Road. This picture was taken apparently when the two pashas were traveling between these landmarks. the British to provide more "open space"
And the street was full of observant Jews dressed in their Sabbath finery. 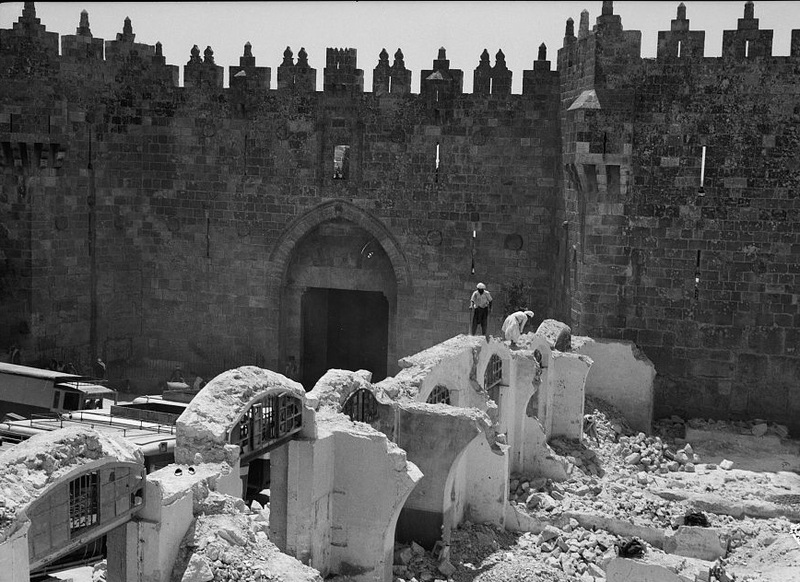 In the background of the picture are a row of Jewish-owned shops adjacent to the Damascus Gate built by a Jewish businessman in Jerusalem, Chaim Aharon Valero. The shops were built around 1900 but torn down under British zoning regulations in 1937. Very informative. Do you have any comment on the the three prominent domes in the Jewish Quarter in the last picture?